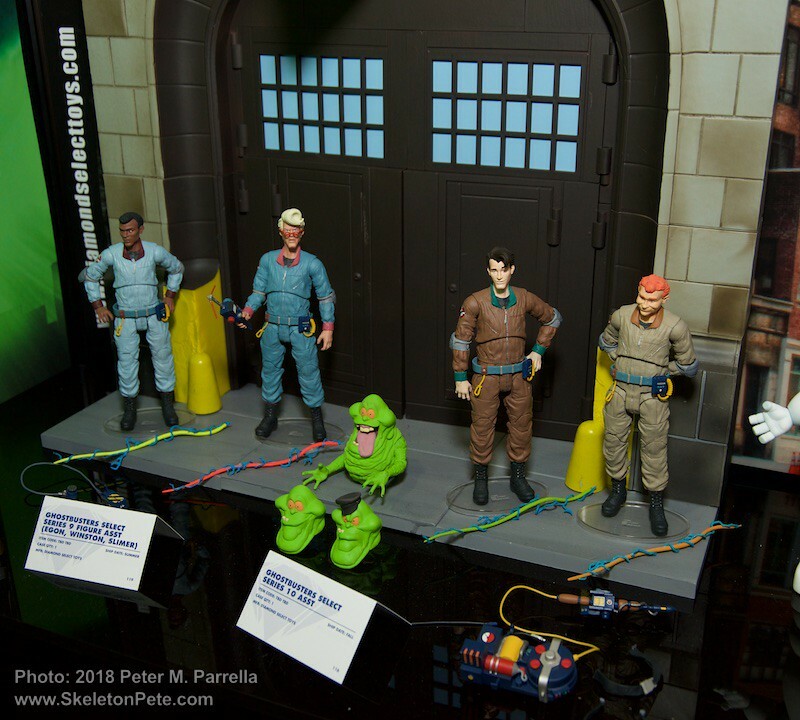 DST’s Select Ghostbusters action figures Series 6-10 will include the parts to build the Firehouse diorama. 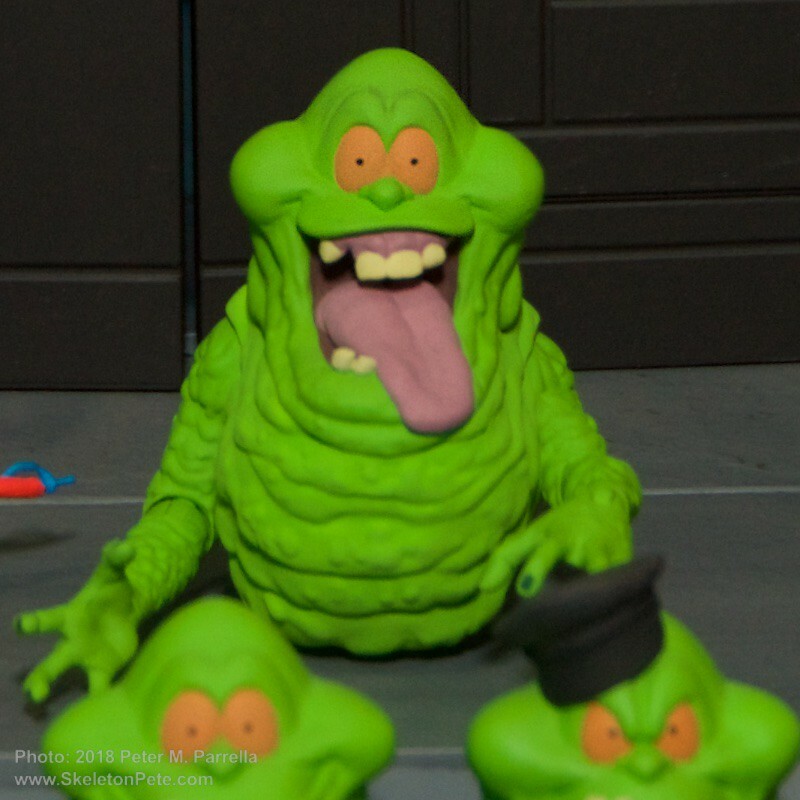 This past week Diamond Select Toys began the rollout of their newest series of Ghostbusters action figures. Series 1-5 gave fans the opportunity to collect life like renditions of the original film’s cast and creatures. Completists were rewarded with a worthy bonus, each of the 15 Select boxes included a piece of a massive rooftop diorama, the perfect display for the entire set. 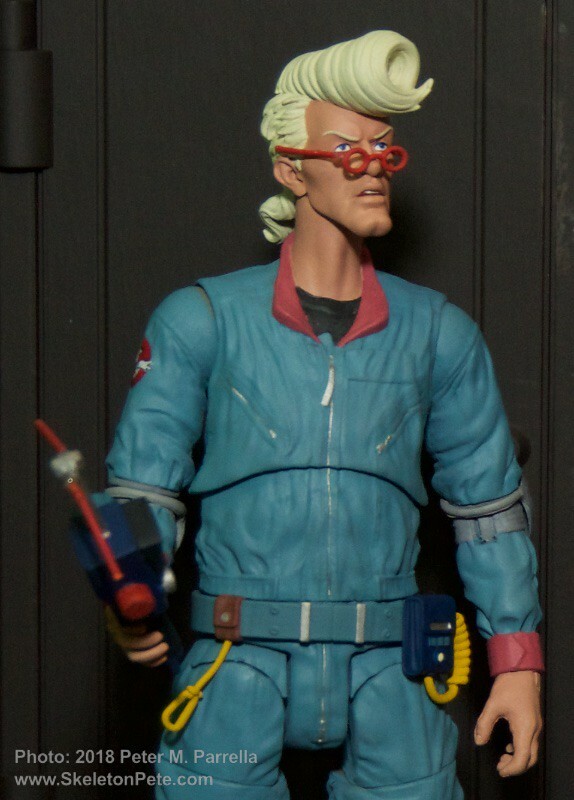 Now available at comic stores and via specialty dealers Select Series 6 features characters from Ghostbusters 2. This time diligent collectors will be able to build the facade of the Hook & Ladder 8 Firehouse. Like its predecessor the Firehouse is a spectacular showpiece and includes both iconic GB and GB2 “no ghosts” shingles. 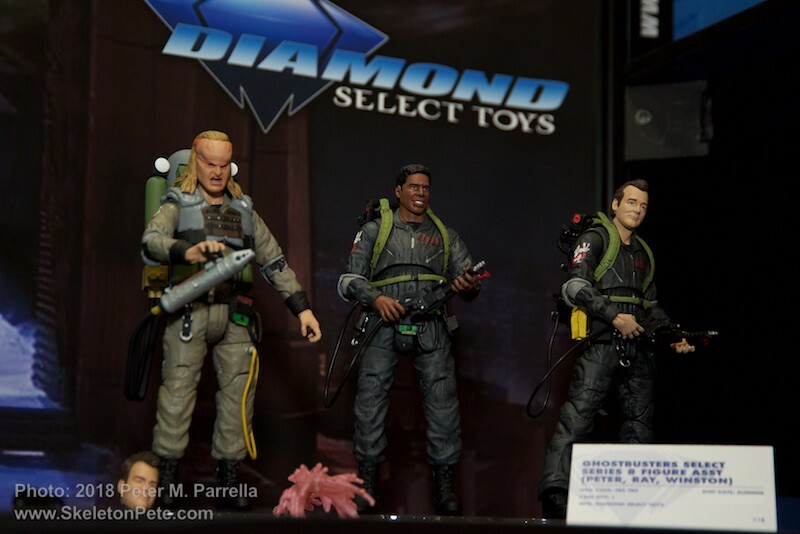 Series 6 includes 7 inch versions of “We’re Back” Ray Stanz (Dan Akroyd), Geared Up Louis Tully (Rick Moranis) and Vigo the Carpathian (Max Von Sydow), each with plenty of accessories. 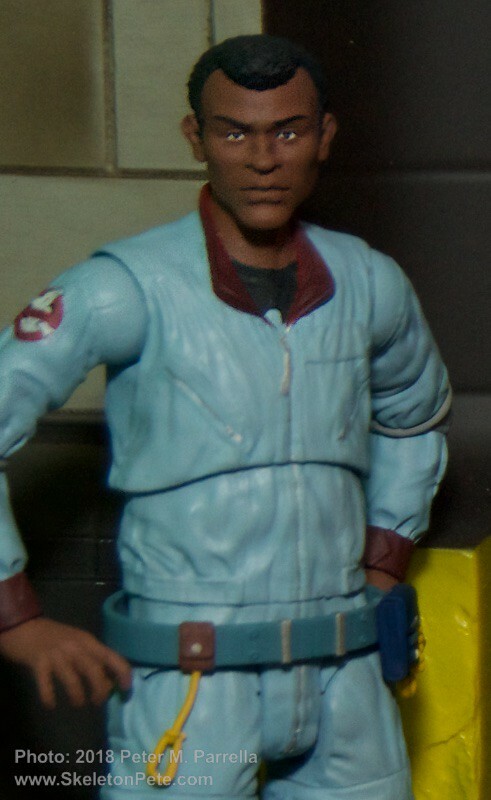 Looking ahead, Series 7 will present “We’re Back” Egon Spengler (Harold Ramis) in grey, Slime Blower Winston Zeddemore (Ernie Hudson) and Manhattan Museum of Art restoration curator Dr. Janosz Poha (Peter MacNicol), while Series 8 offers “We’re Back” Peter Venkman (Bill Murray), “We’re Back” Winston and Slime Blower Ray. The Janosz figure will be exclusive to comic stores and specialty vendors. 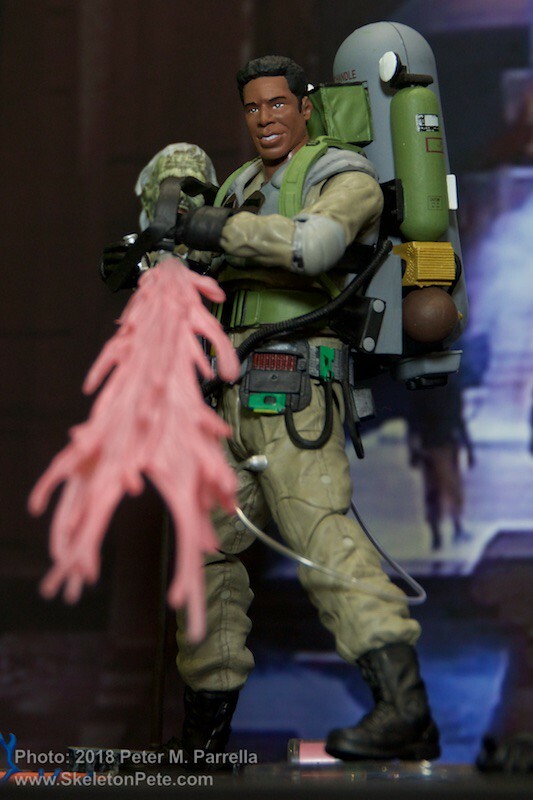 His Select packaging will include baby Oscar, a pair of baby holding hands for Vigo, and a special trick-of-the-light lenticular “painting” that features a disappearing Vigo image. 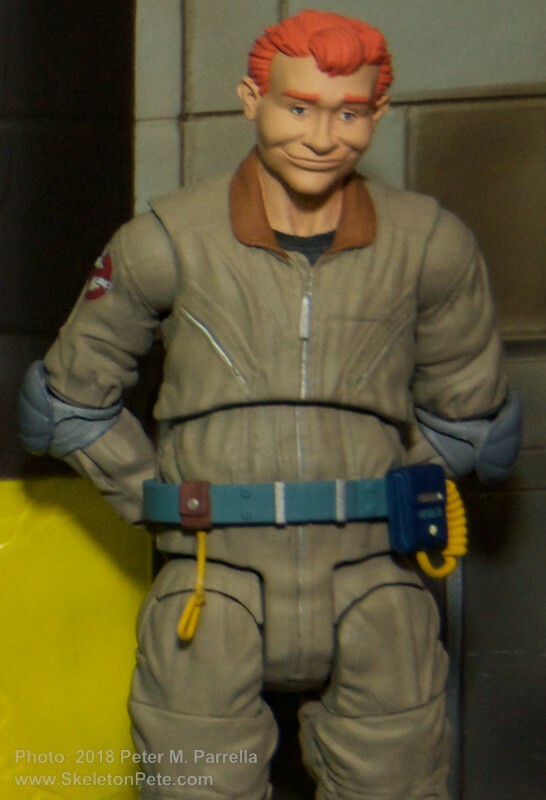 Diamond Select’s “Ghostbusters II” Series 7, includes the exclusive to comic shops Dr. Janosz Poha with baby Oscar figure. 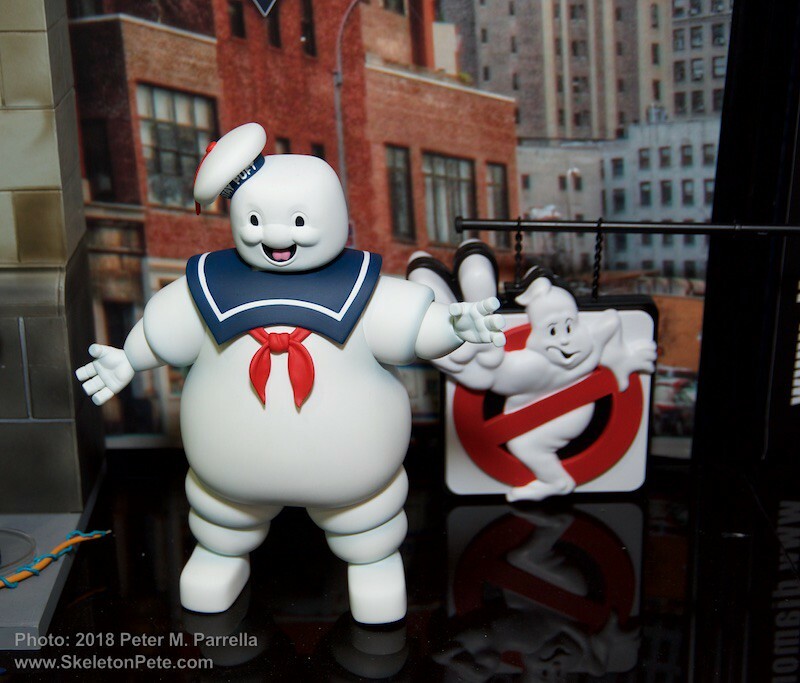 Recently unveiled at the New York Toy Fair, Ghostbusters Series 9 & 10 figures are a special surprise. 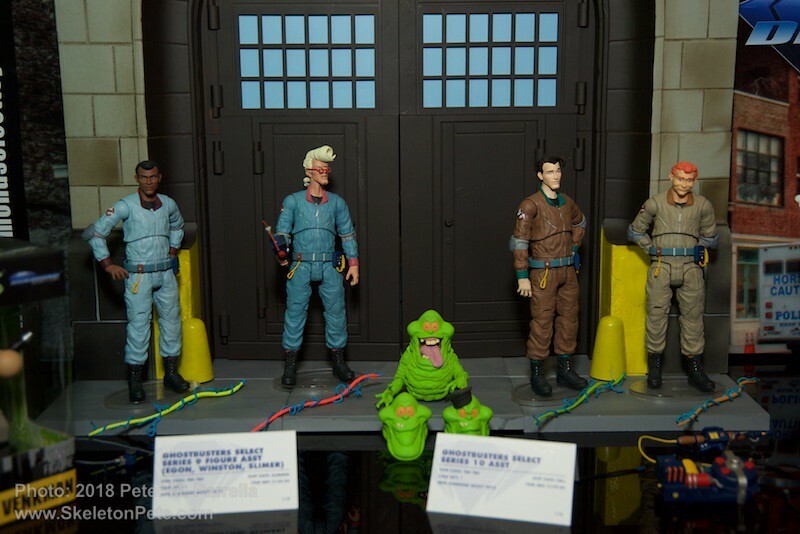 They present the characters in their 1980’s The Real Ghostbusters cartoon incarnations and they look great. 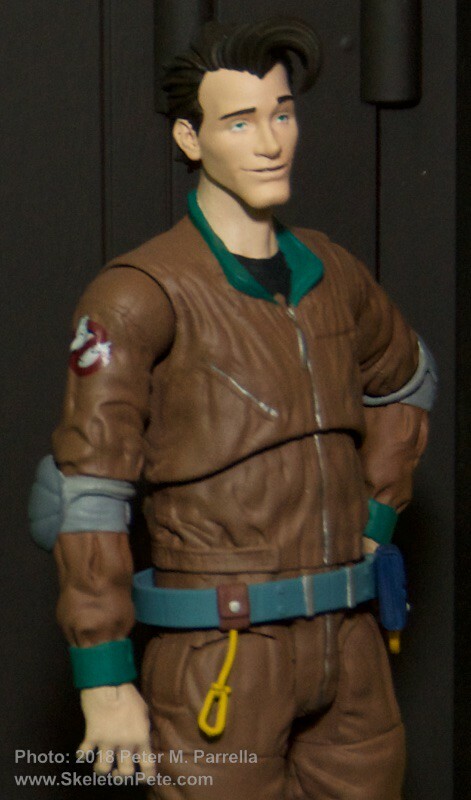 It’s going to be fun having 3D versions of the animated Peter, Ray, Winston and Egon. 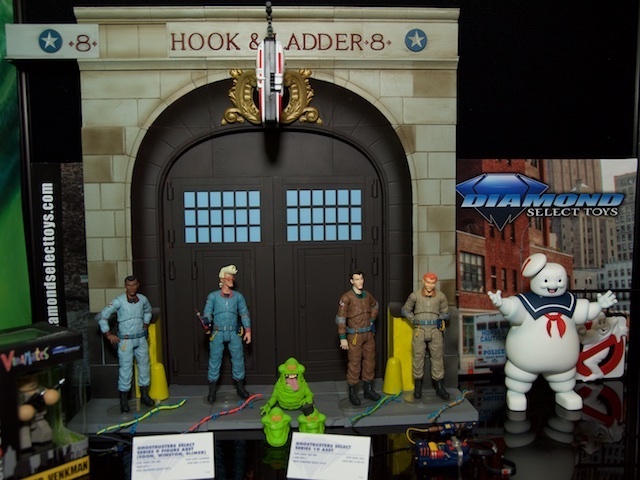 These figures will be joined by Bus Driver Slimer (Series 9) and a 9 inch articulated Stay-Puft Marshmallow Man (Series 10). Their Select packaging will include the final pieces of the firehouse diorama and are expected to ship winter 2018. We’ll be featuring plenty more of the crave worthy collectibles we encountered during our Toy Fair visit with DST in the coming weeks.